Underhills Precision “Specific Task” Nozzles with solid metal construction, deliver millions of soft uniform water droplets providing a rapid, yet gentle water application over a wide range of flow rates. 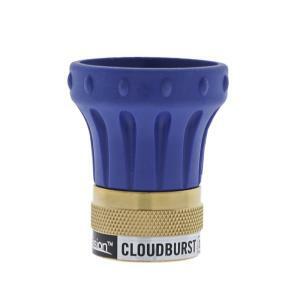 The Cloudburst nozzle is designed for dry spots, area drenching or applying wetting agents. At 35+ GPM flow rate, from soft watering to powerful drenching, the Cloudburst Precision nozzle is designed to fully irrigate without disturbing turf, dirt, seeds, etc…, providing a precise solution for hand watering applications.